I am supporting WWF's Earth Hour at 8.30 pm on Saturday 26th March. I am concerned about the future of our planet. Protecting the environment is very important and if I am elected to the Scottish Parliament I will be doing all that I can to protect the environment. I have supported Earth Hour in the past and I am delighted to do so again this year. As record numbers of people in Scotland prepare to turn off their lights this evening in support of WWF's Earth Hour, Scottish Labour has reaffirmed its pledge to make more homes more energy efficient to cut carbon emissions. A Labour government in Scotland will set an initial target to have 10,000 more homes producing renewable energy across the country in the next four years. "Earth Hour is a great way to bring people together to focus minds on tackling climate change. "It's encouraging to know that there is record support in Scotland for the event this year and it shows what an important issue this is for people. "If we all take small steps to save energy then collectively we can make a big difference. That is why a Labour government in Scotland will take action to minimise carbon emissions through our 'Green Deal'. "Over the next four years, we'll aim to retrofit 10,000 homes and business premises with insulation, household and community renewables. "These steps will create jobs and help people reduce their fuel bills and that's good news for families across the country. These are the things that matter and that's why Labour will focus our efforts on making them happen." On Thursday I visited Dundee College along with Scottish Labour leader Iain Gray. Iain set out Labour's plans for growth. We also got the chance to meet students studying a wide variety of courses from hairdressing to car mechanics. Labour launched our manifesto for growth on Thursday. During a visit to Dundee College today, Scottish Labour Leader Iain Gray pledged to break down barriers to education and jobs to help Scotland's next generation. As he met with students at the Kingsway Campus, Iain Gray said Labour's plans to boost apprenticeships, create thousands of new jobs for unemployed youngsters and ensure no up-front or back-ended fees to higher education will deliver better opportunities for young Scots. Iain Gray said:"With rising youth unemployment we won't stand by and allow a generation of young people to be left on the scrapheap. "The students that I met at Dundee College today are working hard to carve out a better future for themselves and a Labour government will focus on building more opportunities for young Scots. "I want to break down barriers to education and jobs. I remember what happened to young people in the 1980s and if I am First Minister I will work hard to make sure that never happens again. "We will invest in young people's future by guaranteeing an apprenticeship for every qualified young person; ensuring no up-front or back-ended fees to higher education and creating 10,000 new jobs to tackle youth unemployment. 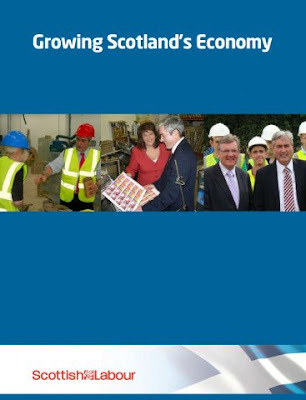 "Today I also unveiled a comprehensive package of over 80 measures to help Scottish businesses create jobs and prosperity. "For the past four years the SNP have been distracted by independence, but when times are tough Labour will focus on the things that really matter." Local Labour candidate for Dundee City West, Richard McCready, added: "The students at Kingsway Campus are gaining valuable skills that will help them get on in life and it's great to welcome Iain Gray to the college to see the great work that is going on here. "Labour has a credible plan of action to create opportunities for young people and tackle youth unemployment. The top priority is growing the economy and creating jobs." The Tory-led government made its Budget announcement today. I am very disappointed by the Budget. There was no good news for Dundee's Computer Games Industry. Families in Dundee are being hurt by George Osborne's reckless policies which are cutting too deep and too fast. In this budget the Tories have confirmed that the banks will get a tax cut this year while families in Dundee will see their child benefit frozen and families earning as little as £26,000 are set to lose their tax credits next year too. On petrol prices the government should have gone further in this Budget. I know that petrol and diesel prices have gone up in Dundee, across Scotland the average cost of a litre of unleaded petrol is now 132.4p - up nearly 11p since December and the Tory VAT rise. The Chancellor should have listened to Labour and reversed the VAT rise on petrol, which is adding £1.35 to the cost of filling up a 50 litre tank. Monday evening saw the March meeting of the Development Management Committee. The meeting saw a couple of applications for mobile phone masts. One was at Forthill Sports Club in the Ferry and the other was in Lochee United's Thomson Park. I was concerned that companies were exploiting loop-holes to limit the number of people that they have to give a neighbour notification to. Instead of treating the application site as Thomson Park for example, the application site was roughly 3 metres square and was far enough away from local residents as to exclude them the consultations. This is disingenuous at best. I am looking for ways to deal with this. I've called for improved bus services in Dundee, I've done so on a number of occasions. I believe that bus companies serving Dundee should not only look at profitable services but should provide an overall service to the people of Dundee. Many people right across Dundee have complained to me about the ongoing changes in bus services in Dundee. I am concerned that the bus companies in Dundee see their main priority as delivering profit for shareholders rather than delivering a service for the people of Dundee. The solution to many of the problems which face the travelling public in Dundee is a greater degree of regulation of bus services. Labour is campaigning for greater regulation of bus services in the Scottish election. People from across Dundee rely on good bus services and they want Dundee's bus companies to put people before profit and deliver an integrated service for all parts of Dundee.